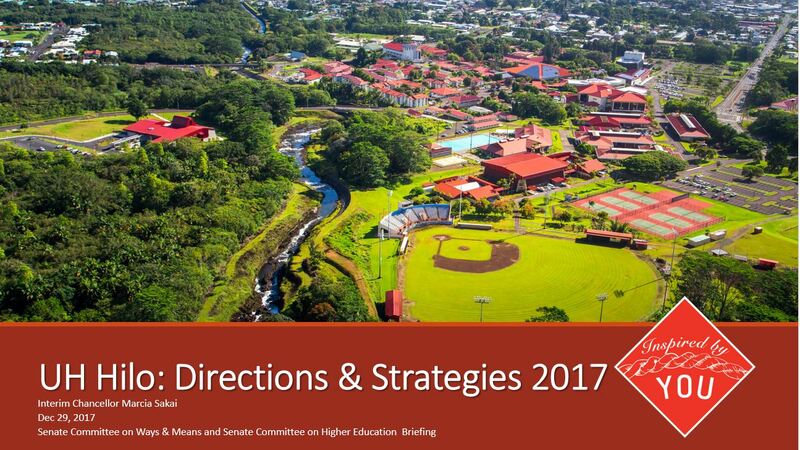 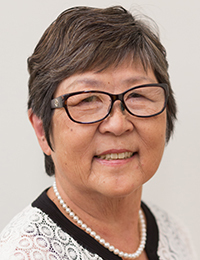 University of Hawai‘i at Hilo Briefing on the 2018 Legislative Budget to the Senate Committee on Ways and Means and the Senate Committee on Higher Education, presented by Interim Chancellor Marcia Sakai, Dec. 29. 2017, Honolulu. 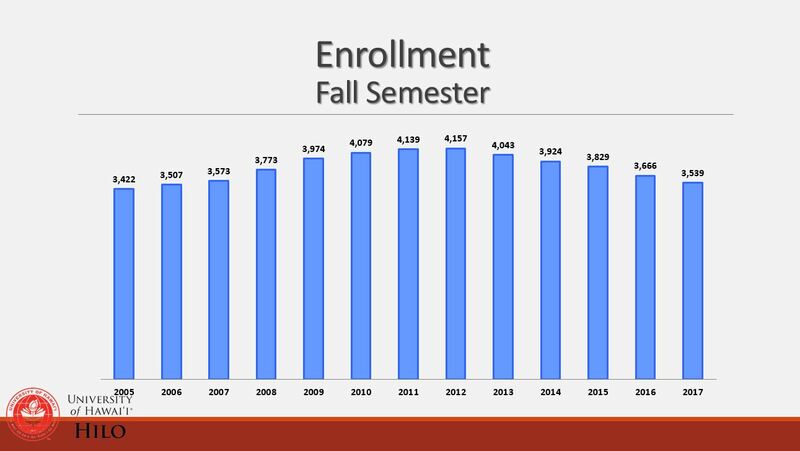 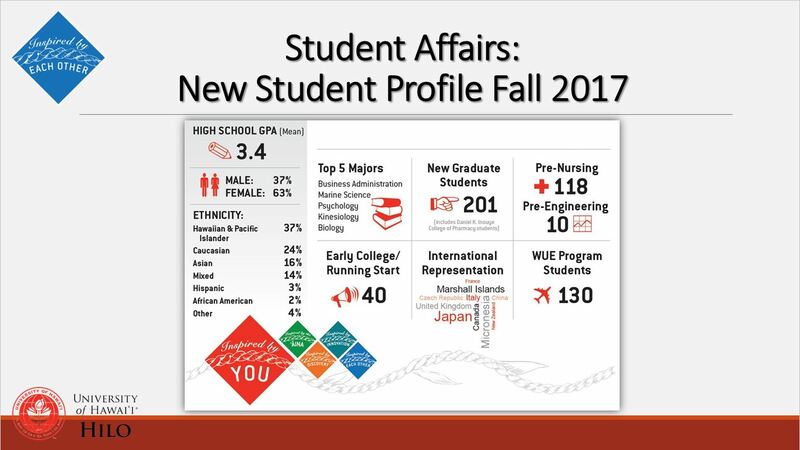 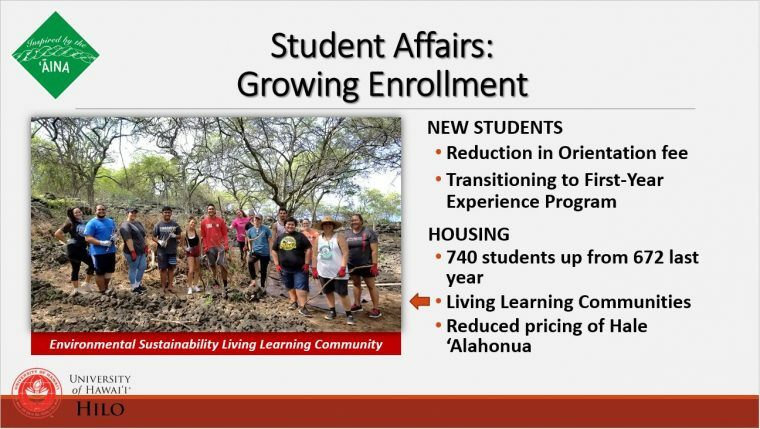 The University of Hawaiʻi will be presenting its proposed tuition schedule for fall 2017 through spring 2020 to the community at open public meetings statewide from March 28 to May 5. 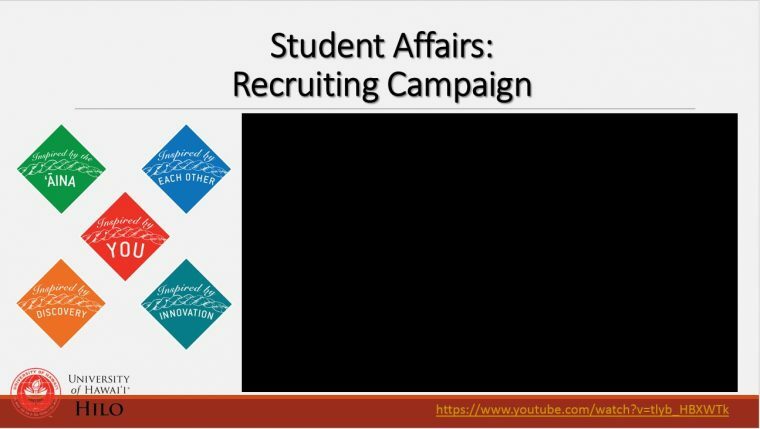 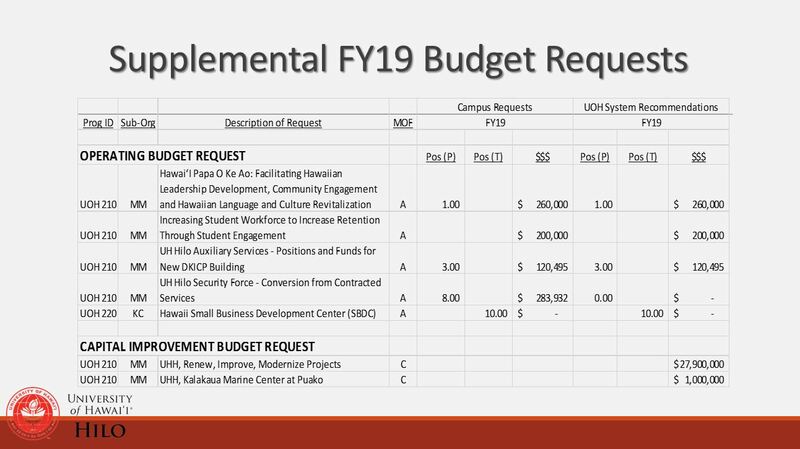 The meetings will explain the rationale for the tuition proposal and what the increases will be used for and are intended to solicit feedback from students, faculty, staff and the general public. 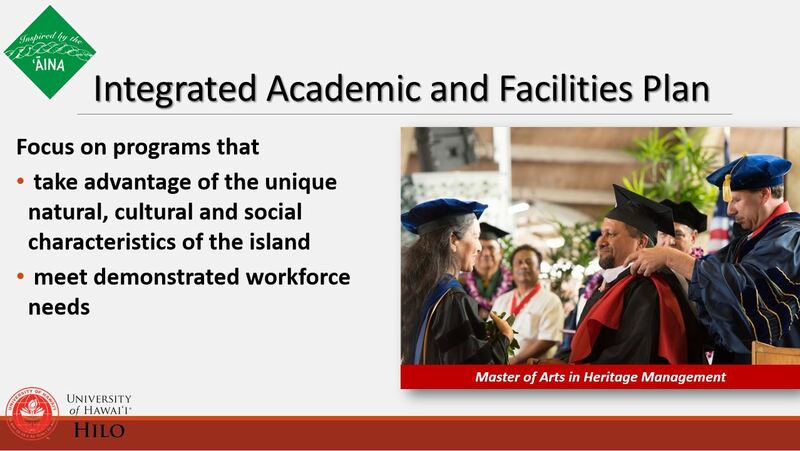 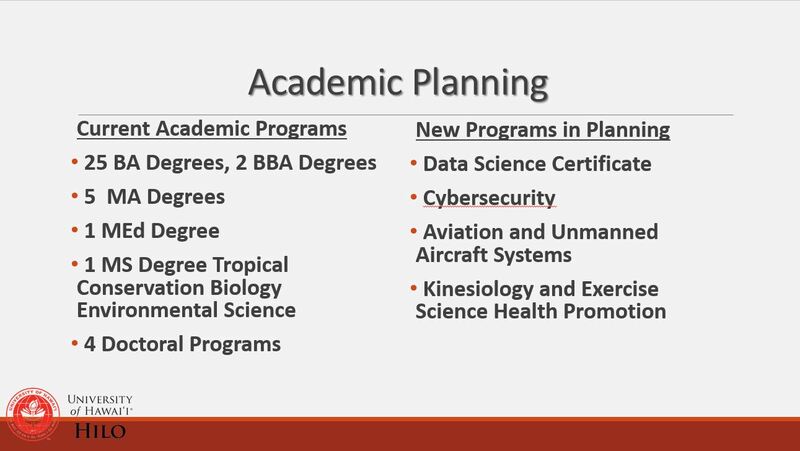 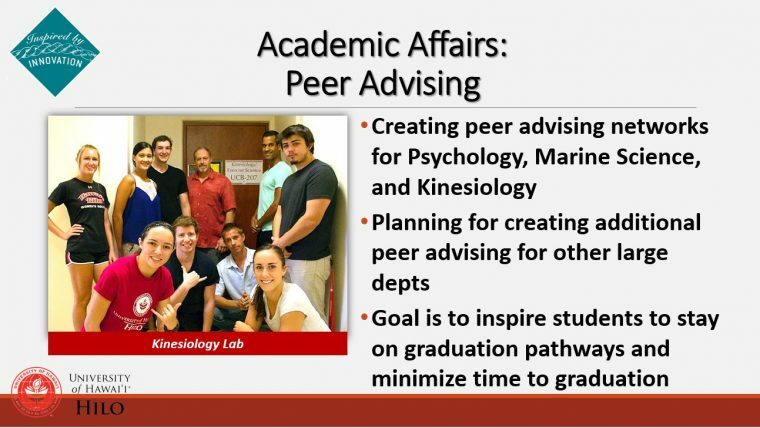 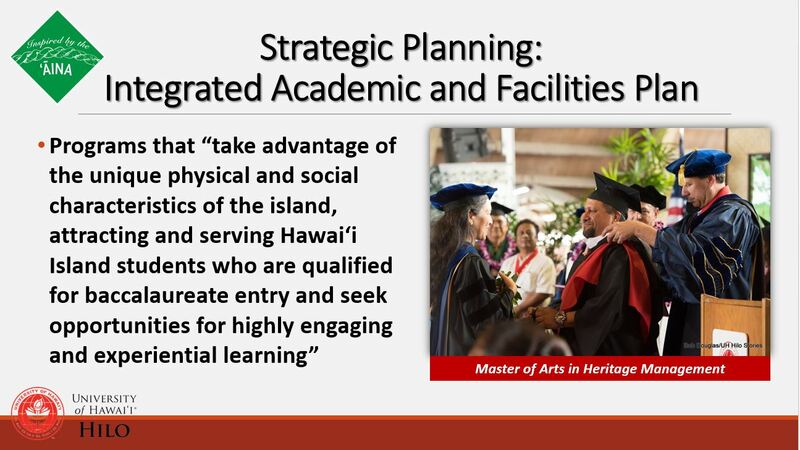 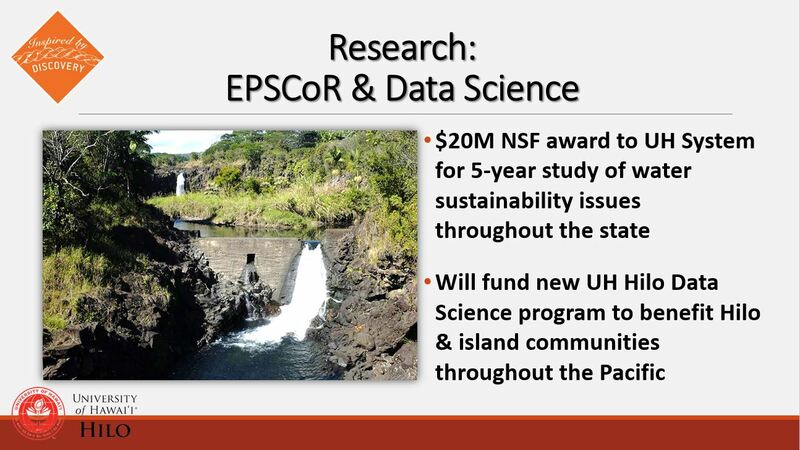 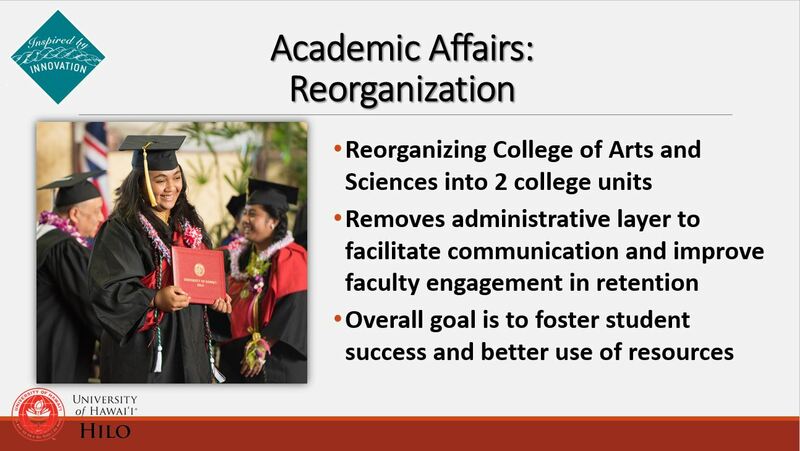 After input is received and considered, a final recommendation will be presented to the UH Board of Regents at a public meeting for action in June 2016. 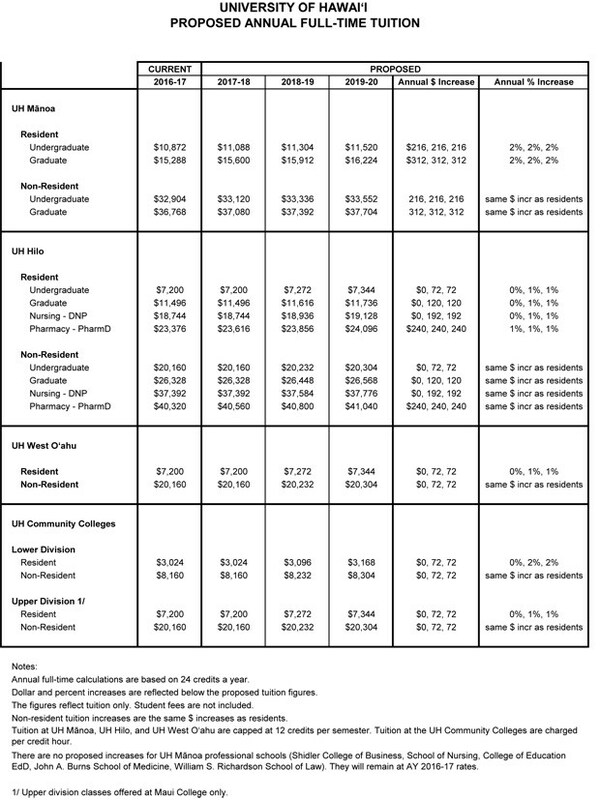 Students, the university community and the public are invited to present testimony (written and/or oral) on the university’s proposed tuition schedule at meetings held at the times and places listed below. 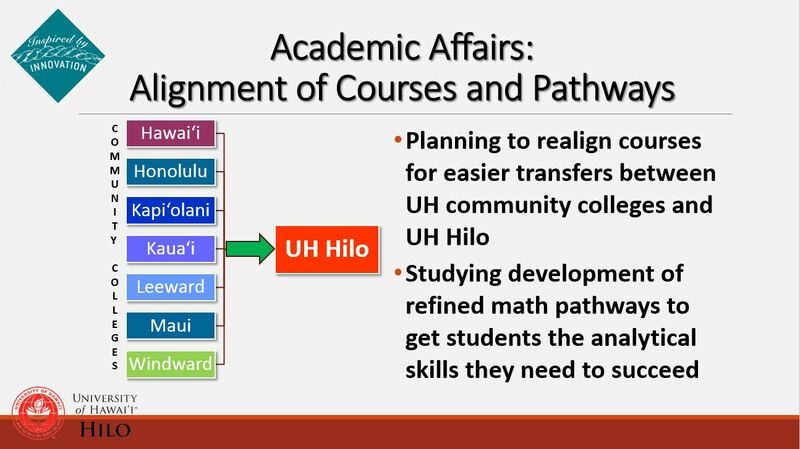 Testimony can also be submitted by email to tuition@hawaii.edu. 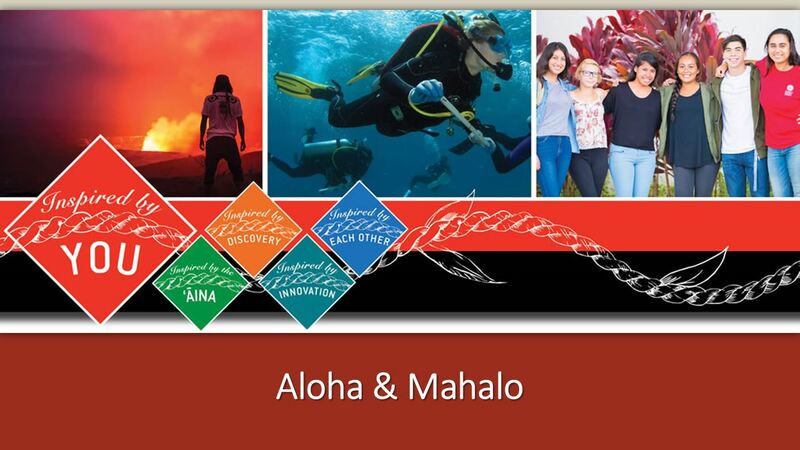 Full schedule for other islands. 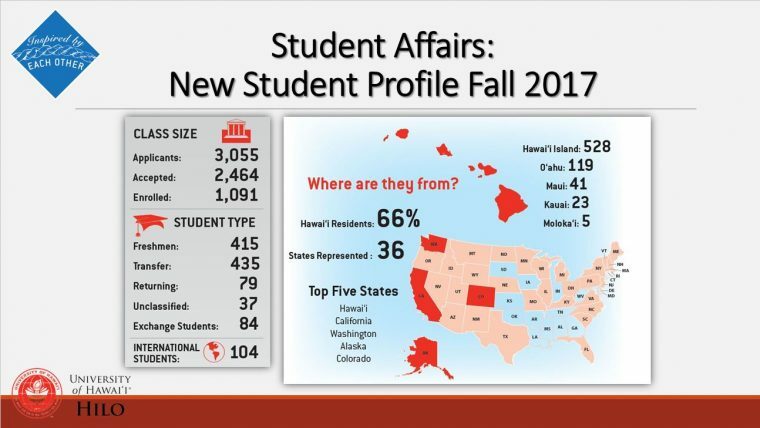 The dates, times and locations of the meetings are subject to change. 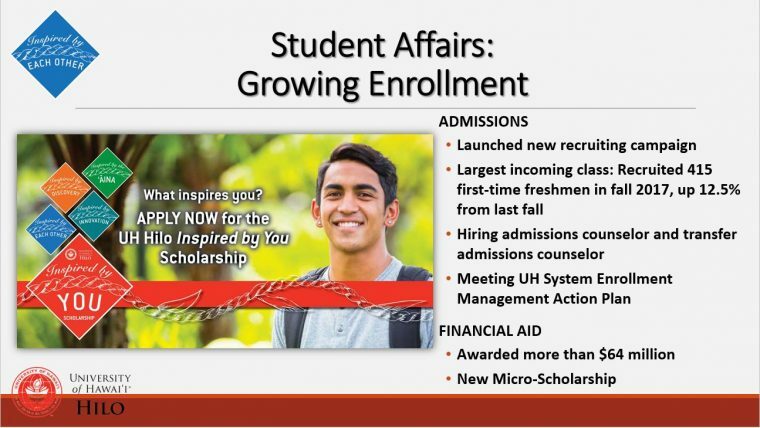 For the latest information, go to tuition website. 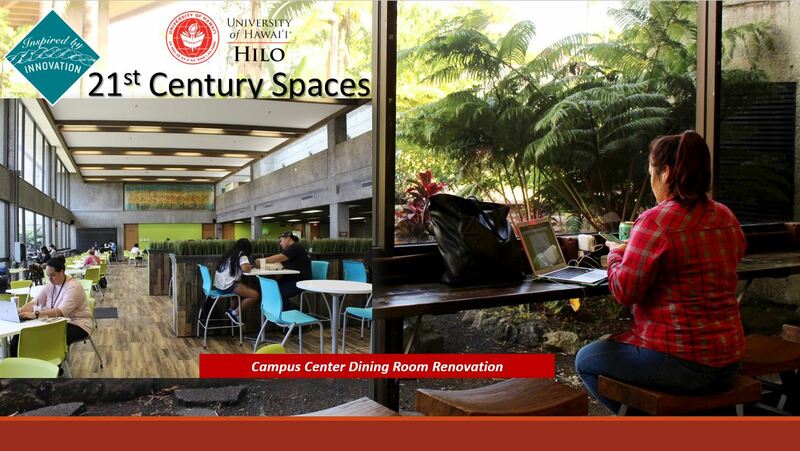 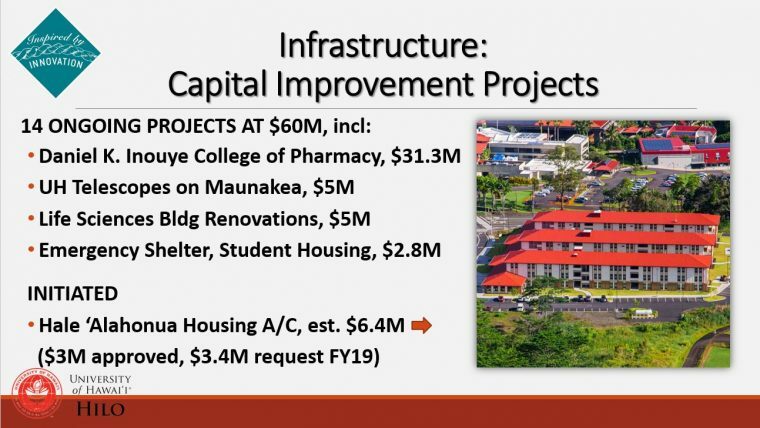 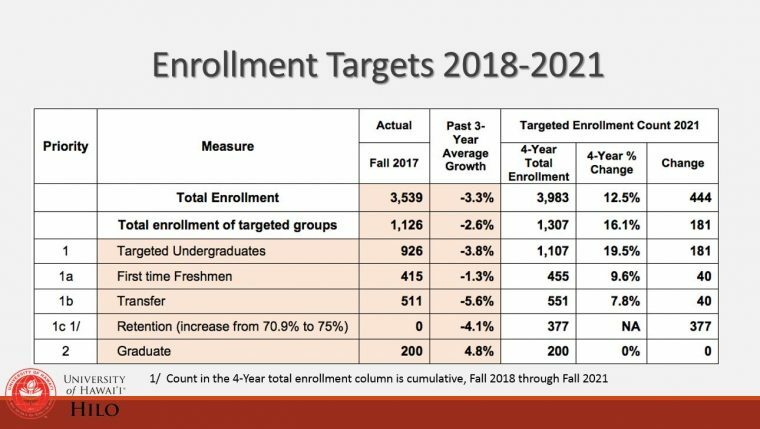 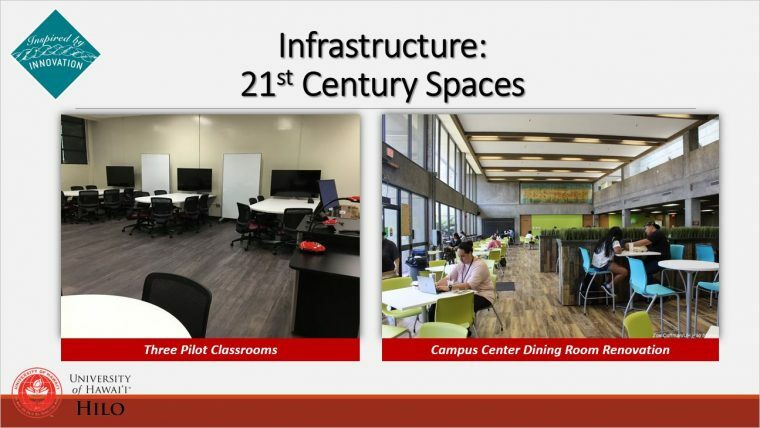 The university intends to use the proposed tuition increases to address deferred maintenance on the UH Mānoa and the UH community colleges and establish a reserve fund for the UH West Oʻahu and UH Hilo campuses. The presentation to the Board of Regents and the current and proposed tuition schedule can also be found at the tuition website. 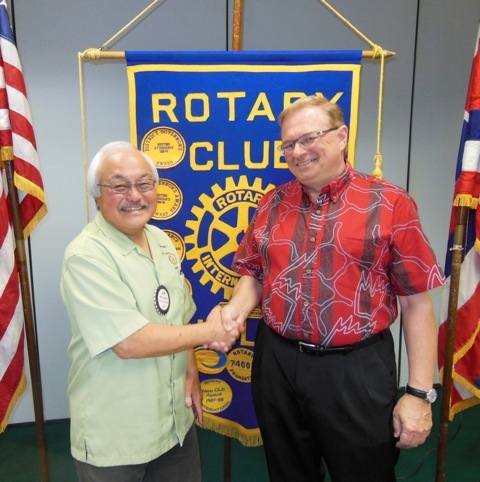 Chancellor Straney stands with Alan Kusunoki (at left), 92nd president of the Rotary Club of Hilo. 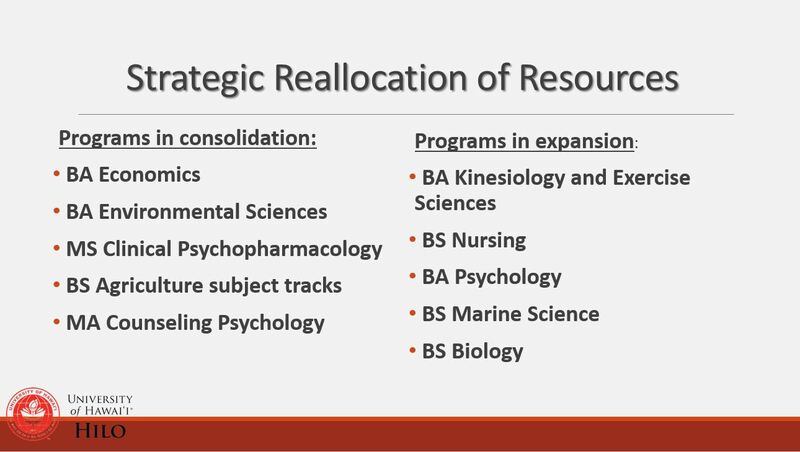 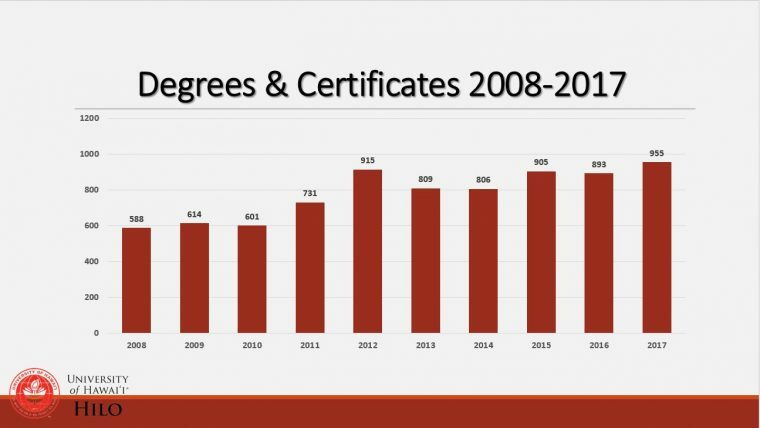 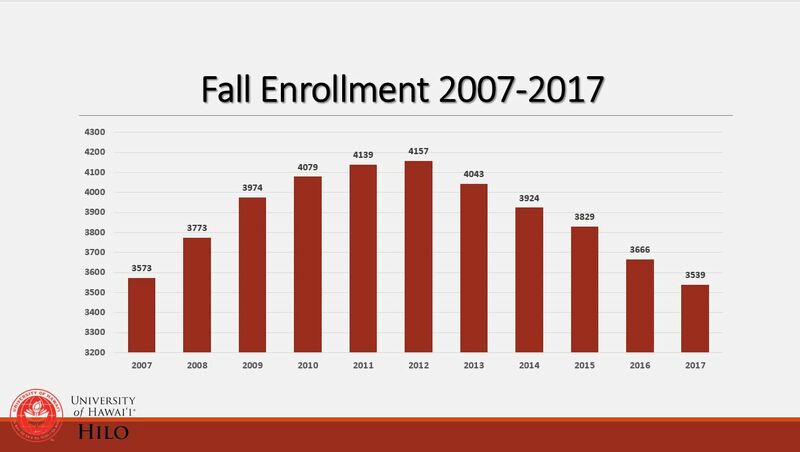 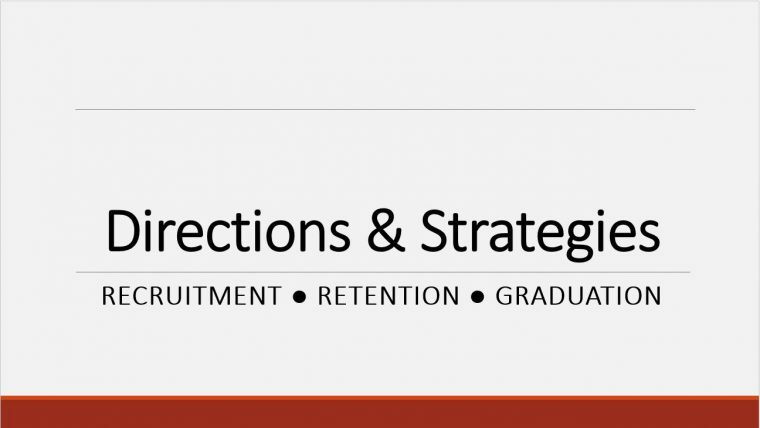 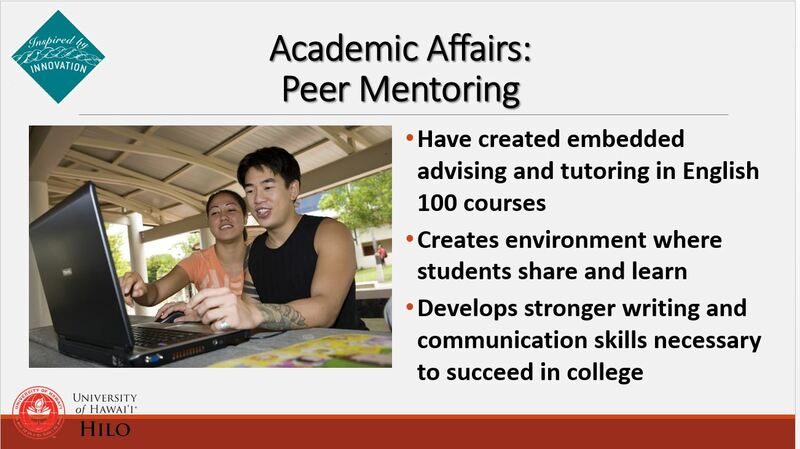 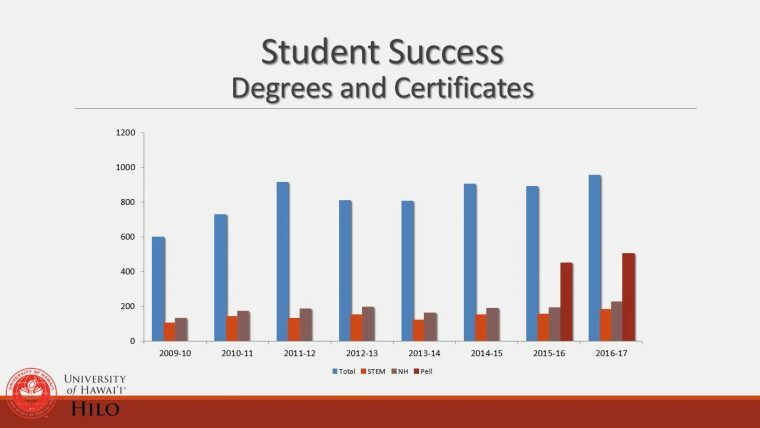 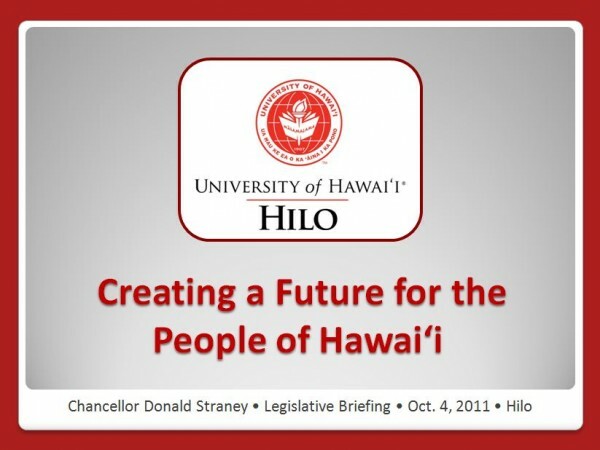 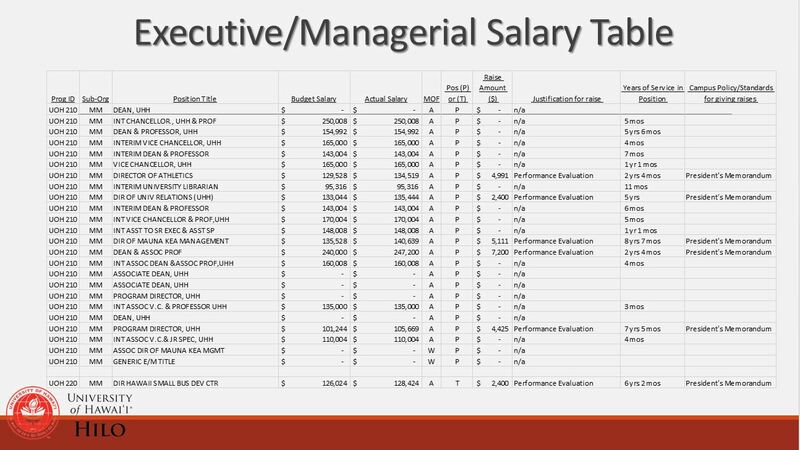 PDF of Chancellor Straney’s presentation.